Snoop Dogg is definitely in the, hooooouse -- the WWE house that is. The rapper born Calvin Broadus Jr. will be taking his place in the celebrity wing of the WWE Hall of Fame, a class that includes everyone from William "The Refrigerator" Perry to Laurence "Mr. T" Tureaud. If you were to note the irony of Snoop going into a professional wrestling Hall of Fame when he currently holds the record for most Grammy nominations without a win you wouldn't be alone in pointing that out. In fact those who don't follow the action inside of the squared circle might be perplexed as to why Snoop Dogg is going into this hallowed hall as opposed to one for hip-hop or rock music. It's not as though Snoop hasn't had multiple forays into the entertainment spectrum outside of making albums and songs. He's been in dozens of movies over the years, including several as the featured performer, and he has an equally long or longer list of cameo appearances in TV shows. To date my all time favorite in the latter category would be "Mr. Monk and the Rapper," a TV show which aired in July of 2007, a years before Snoop even made his first appearance for WWE at WrestleMania. Starting in the summer of 2009 and occurring every Monday night for almost a year, the flagship wrestling of the sports entertainment world had a celebrity guest GM every week who held the authority to make and book matches for the wrestlers featured on the show. This practice resulted in some episodes of WWE Raw that were both memorable and awful, but Snoop Dogg was arguably one of the more successful guests owing in large part to his being a fan of pro wrestling. Snoop was even the "master of ceremonies" for a match at WrestleMania 24, but this episode of Raw made the most indelible impression on wrestling fans. It showed Mr. Broadus to be a true fan and not just a one-off celebrity paid to make a cameo at WrestleMania. He even got physically involved in the action during the course of the evening, squaring off against the villainous heel Chavo Guerrero Jr.! Now there are a great many of you reading this now who will probably say any # of things wrestling fans have heard before a million times - that's silly, don't you know it's fake, why do you watch wrestling that's for kids, and so on. Comic books are "for kids" too though and yet Marvel movies make hundreds of millions of dollars (and star pro wrestlers to boot). Yes wrestling is often silly, and we're certainly all aware it's fake, but so is every "reality" TV show. 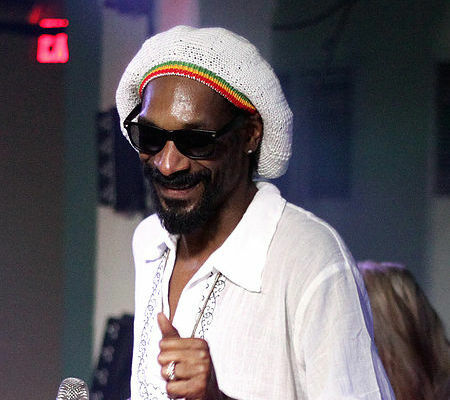 That doesn't stop people from finding it fun and entertaining and it's no surprise that Snoop does too. He's even got family ties in the business - his cousin Sasha Banks is a featured WWE superstar in her own right. What perplexes me is that even wrestling fans will find a way to complain about the "celebrity wing" of the WWE Hall of Fame. I've heard the argument that you shouldn't mix athletes with celebrities because it weakens what's supposed to be an honor for the hard working men and women of professional wrestling (or as WWE likes to say "sports entertainment") but I would say right back that it's called a "celebrity wing" to indicate it's separate from those wrestlers. More importantly the entire WWE Hall of Fame is "a work" which is wrestling parlance for "a fixed outcome" as opposed to "a shoot" which means "real and unscripted." Nobody actually votes for who goes into the WWE HOF. Vince McMahon picks a handful of names, holds a ceremony, and some are more worthy of being honored than others. As wrestling fans we by and large play along because we're in on it, know it's a work, and usually the "top name" in any given year truly is worth receiving the honor whether it was fake or real. I know the year I saw Bret Hart go in, it was "still real to me damn it" and props if you get that joke. If you want a real nominated and voted upon wrestling award that exists too. Bow wow wow yippie yo yippie yay. Let Snoop Dogg have his fun. It's a little disheartening to know he'll have a WWE Hall of Fame ring before he finally gets the Grammy Award he's deserved for so many years, but then again who gives a damn about a Grammy anyway? I just hope the fans attending this year's HOF ceremony will show him the same respect they would to Sting, Jacqueline and The Godfather. At the end of the day Calvin Broadus is a fan and when he makes his acceptance speech he'll probably be the first to say it: "I'm not a wrestler, but I love what they do, and I'm honored to have been a part of it over the years." In fact the only regret I have is that Snoop is so busy acting, recording and touring that he can't take part in WWE more often.